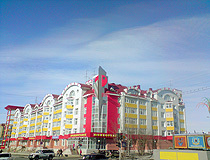 The capital city of Yamalo-Nenets okrug. 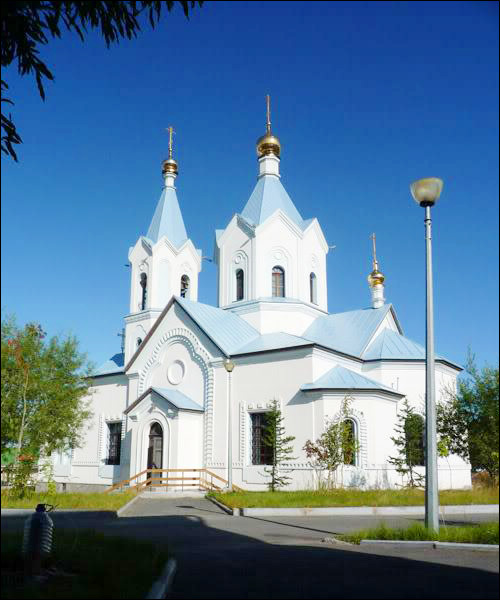 Salekhard is a city in Russia, the capital of Yamalo-Nenets autonomous okrug (the largest gas producing region in the world). It is one of the few Russian administrative centers which is smaller than other cities of the region in both population and industrial output. 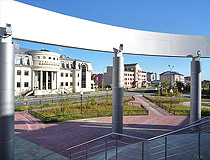 Salekhard is the third largest city in the region after Novy Urengoy and Noyabrsk, the only city in the world located right on the Arctic Circle. The population of Salekhard is about 48,300 (2015), the area - 28 sq. km. The phone code - +7 34922, the postal codes - 629000-629008. Local time in Salekhard city is April 20, 11:53 pm (+5 UTC). 5 March, 2019 / Salekhard - the view from above. 18 August, 2011 / Transpolar Railway - The Dead Railroad. Salekhard was founded in 1595 and was called Obdorskaya fortress (meaning “near the Ob” on the language of Komi people). In 1635, the first inhabitants came to the settlement. 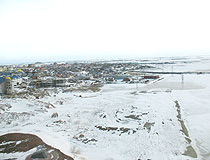 It became the northernmost settlement in Siberia. In 1807, the fortifications were pulled down and the settlement became a town. In 1897, in Obdorsk, there were 30 houses, 150 retail shops, and 500 residents mainly engaged in hunting, fishing, and trade. 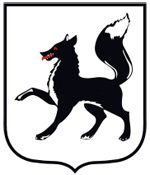 On December 10, 1930, Obdorsk became the center of Yamal (Nenets) national district. June 20, 1933, the town received a new name - Salekhard (Sale-Kharad means “a settlement on the cape” on Nenets people language). Both in tsarist and Soviet Russia it was used as a place of exile. In 1949-1953, Salekhard was one of the bases of construction of Transpolar Railway also known as Salekhard-Igarka Railway (mostly closed railway branch to Novy Urengoy, passing also through Nadym). 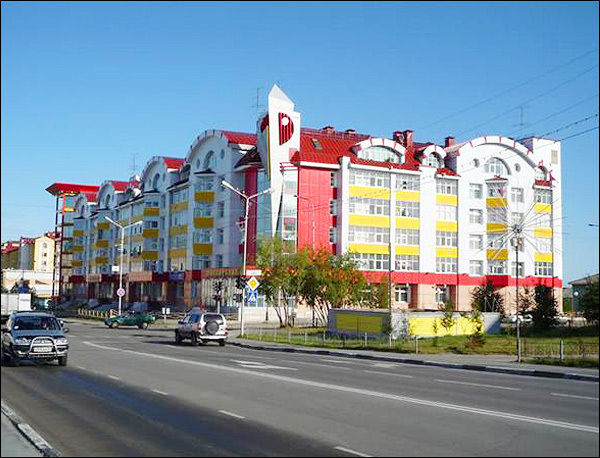 In 1990, Salekhard was included in the list of historical cities of the Russian Federation. Salekhard City Day is celebrated on September, 14. 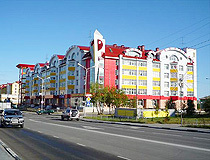 The city is located on the border of the subarctic and temperate climatic zones. The average temperature in January is minus 23.2 degrees Celsius, in July - plus 14.8 degrees Celsius. Polar Day occurs from June, 7 to July, 7 (within a month the upper edge of the sun never drops below the horizon). Salekhard is situated on the right bank of the Polui River not far from the place where it flows into the Ob River, 3,387 km from Moscow by road. About 16 km from Salekhard, on the other bank of the Ob, the town and the nearest railway station of Labytnangi is located. The city is connected by ferry across the Ob River (in summer) and ice road (in winter) with Labytnangi railway station. 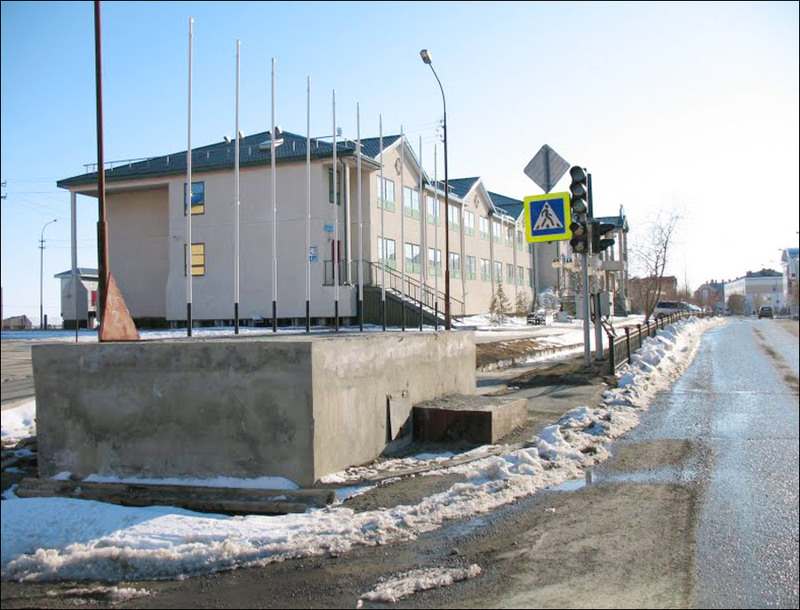 There are plans to construct a bridge across the Ob connecting Salekhard and Labytnangi. 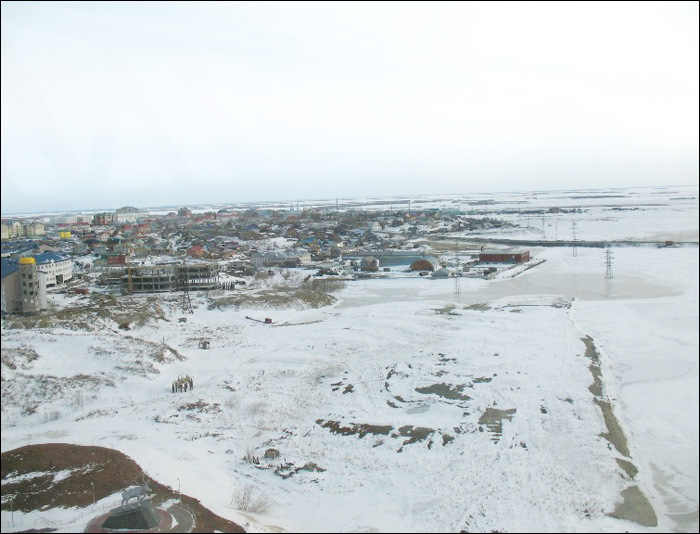 There is a river port in Salekhard (passenger traffic to Khanty-Mansiysk, Omsk, and villages on the shores of the Gulf of Ob). The city has an airport (flights to Moscow, Tyumen, Novosibirsk, Omsk, Yekaterinburg, Novy Urengoy, Noyabrsk, Nadym). The city has a fish canning, milk-processing, construction materials, wood-processing enterprises. 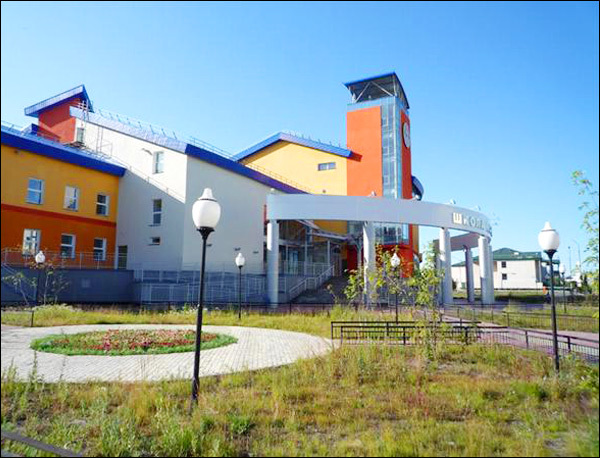 Present Salekhard is a combination of characteristic features of the oldest Polar town and the modern northern center of Russia. The historical and cultural heritage is presented by the monuments of archeology and architecture. 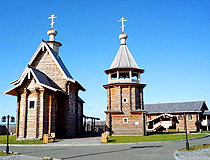 The oldest buildings in Salekhard date from the end of the 19th century - the beginning of the 20th century. One of the most northern beaches in the world is located in Salekhard. On hot summer days this place is popular with locals. 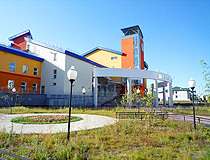 Yamalo-Nenets Museum and Exhibition Complex named after I.S.Shemanovsky (Chubynina Street, 38) includes a museum of local lore, an exhibition center, a research library, and a storage of exhibits. The complex also has a branch - an apartment museum of L.V.Laptsuy, a known Nenets writer. State Institution of Culture of the Yamalo-Nenets Autonomous District “The Regional House of Crafts” (Mira Street, 13a and Chubynina Street, 24 - Art Center). Peter and Paul Church (1890-1894). 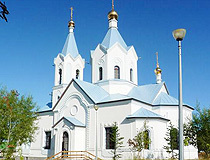 It is the only surviving religious building of the 19th century in the city reflecting the history of the spread of Christianity in Siberia (Nogo Street, 8). The architectural complex “Obdorsky ostrog” shows how the outpost of the Russian state looked in the 17th century. Today, it is an open air museum opened at the historic location at the confluence of the rivers Ob and Polui in September 2006 (Republic Street, 1). The ancient sanctuary of Ust-Polui, a unique archaeological site discovered in 1932, is known worldwide. 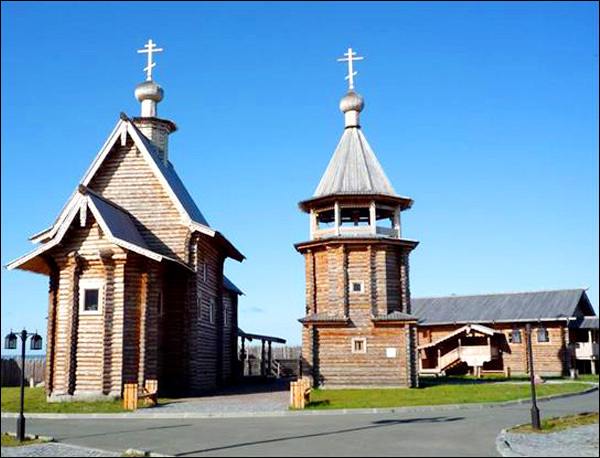 The sanctuary is located at the crossroads of natural areas and cultural traditions of the ancient peoples of Western Siberia. 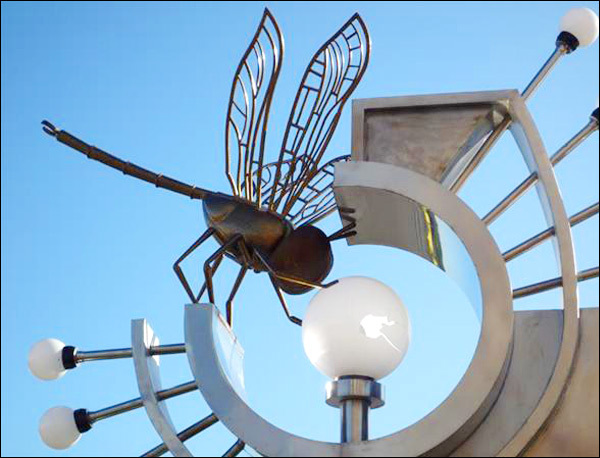 It is a rich source of valuable artifacts and scientific discoveries (“Hydroport” neighborhood). 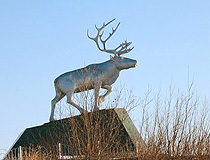 The sculpture “Mammoth” was opened in the area of “settlement” of prehistoric animals, on the banks of the Ob River, at the entrance to Salekhard. 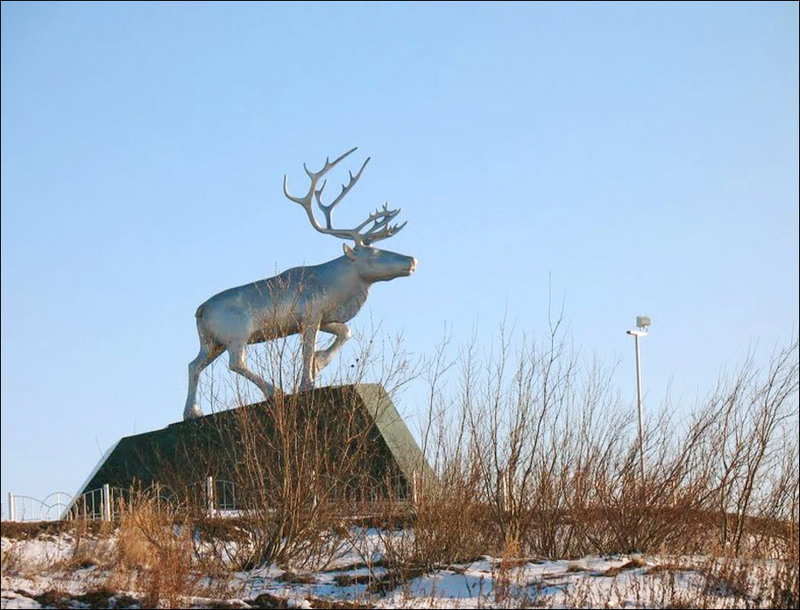 The monument is dedicated to the ancient inhabitants of the North - mammoths, the mammoth bones and tusks are found in all corners of the Yamal Peninsula. The memorial dedicated to the builders of the 501st construction - the railway route “Chum - Labytnangi - Salekhard - Igarka” of the time of the Gulag. The steam locomotive of the 1940s (Em 711-26), standing on the rails that are abruptly cut off, symbolizes torn, fractured fate of the affected people (mostly political prisoners). The stela “66 parallel” is the symbol of geographical uniqueness of Salekhard. It is installed on the site of passage of the Arctic Circle (Brodneva Street). The stela “To romantics of the 1970s”, built in 2001, symbolizes the romantic era when Komsomol youth was busy developing the Soviet north. Opening of the monument was dedicated to the production of 10 billion cubic meters of natural gas from Yamal (Brodneva Street). The building of the local district council, built in 1901, is an example of a public building of the 19th century (Republic Street, 5). The house of the merchant Kornilov (1895) has a historical and architectural value as one of the first examples of housing construction in the Far North (Republic Street, 16). 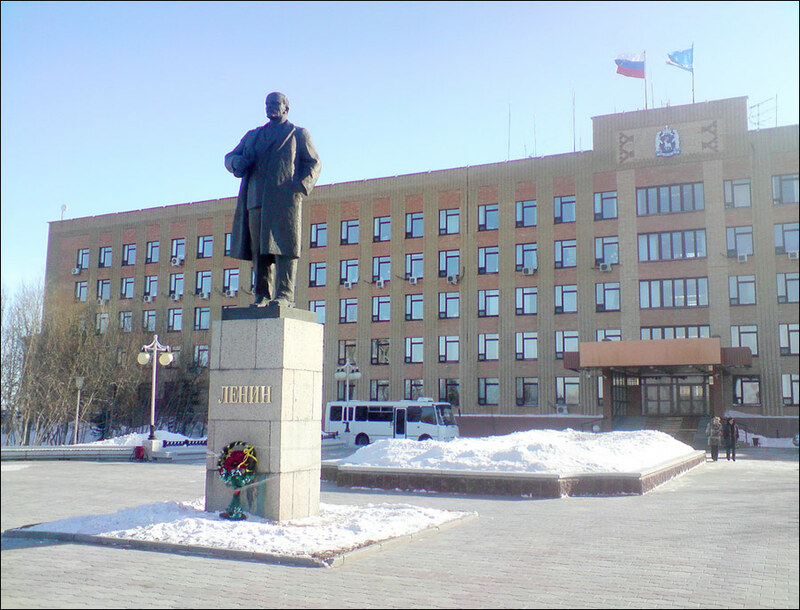 The building of the Regional Committee of the CPSU (b) is the most outstanding building of the Soviet pre-war period. 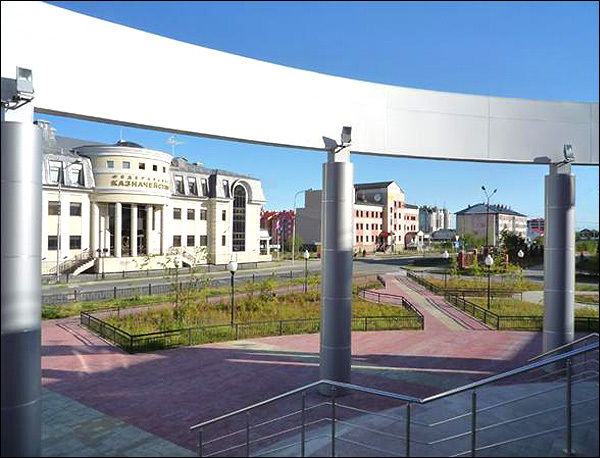 It is located in the central part of Salekhard and has a historical and architectural value as an example of urban building of the 1930s (Republic Street, 7). The building of the theater of the 501st construction is part of a complex of wooden buildings of the 501st construction. 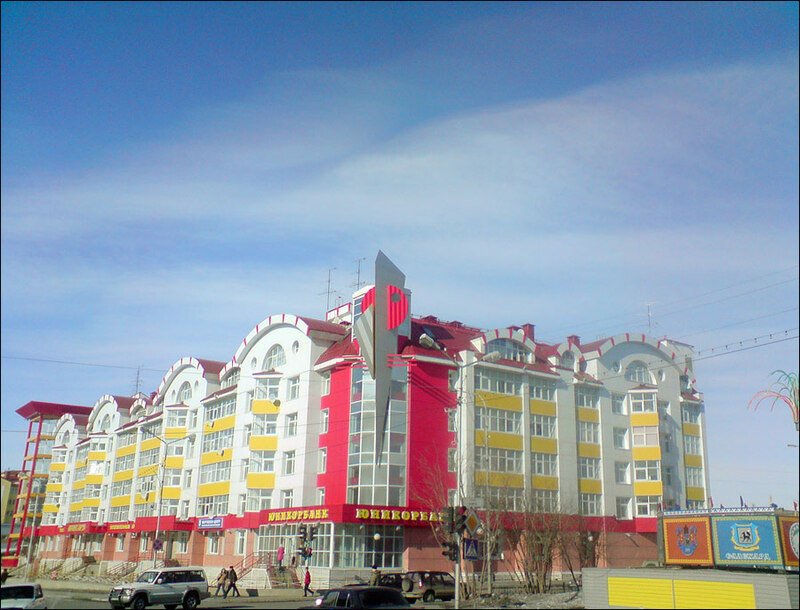 It was built in the eclectic style of the Stalinist Empire style with the introduction of regional traditions for the theatrical drama troupe of the 501st construction, professional artists who became political prisoners convicted under article #58 of the Criminal Code of the RSFSR (Republic Street, 98). I had the distinct pleasure of working in this wonderful city during the winter of their 400th anniversary. 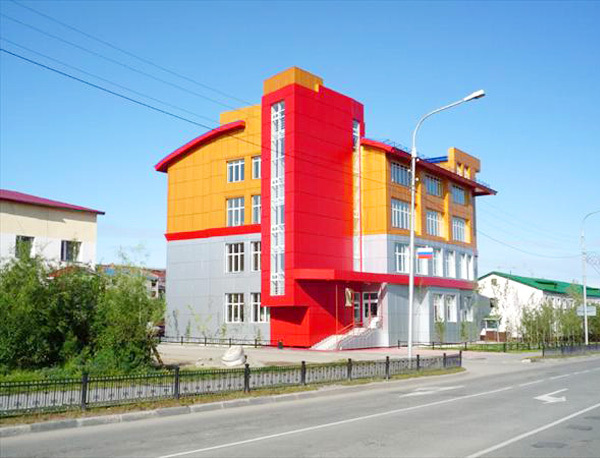 I worked on the construction of the School and the Hotel. The time spent there was one of the highlights of my career and someday I hope to return for another visit and the opportunity to see some of the people I worked with. The photos are beautiful and made me feel a little nostalgic for my time there. It is truly amazing to see such a beautiful city so far north. I have been an arctic pilot for many years, and have flown over all the Canadian arctic. We have nothing whatsoever like Salekhard. It looks wonderful! If I were younger I would visit, but it must be difficult to get there. Thanks for the beautiful pictures, Allen McDonald.